Communication is a central part in every aspect of our lives and the ability to communicate effectively helps foster positive relationships – especially in a professional environment. Here are some tips to help you become a better communicator. No one is a perfect communicator even though it is one of the few things we do practice every single day. We develop patterns and habits, some are helpful and some create challenges. We don’t usually intend to obscure our objectives or send mixed messages – but it does happen more often than we like. In communication even small things can make a big difference and might potentially lead to real problems. 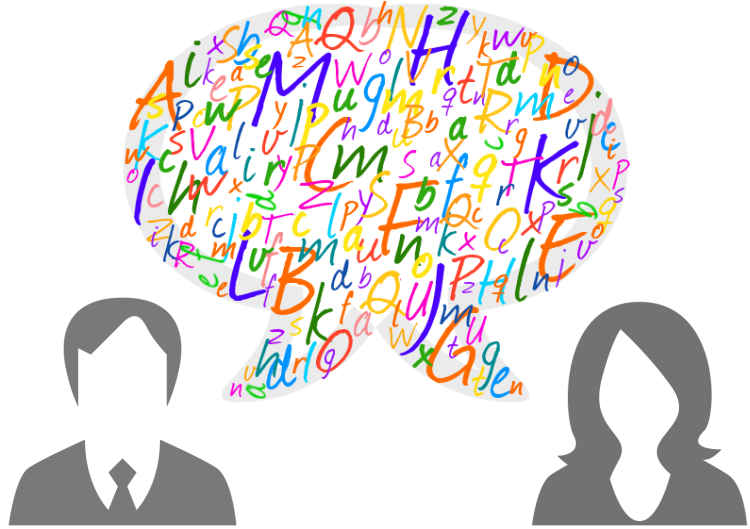 Here are a few tips that will help you communicate more effectively in the workplace. The first step to becoming a better communicator is knowing what communication really is. It is the process of a message between the sender and recipient. The message can be transferred verbally, in writing, non-verbally (mimic, gesture) and even all the “in-between” is part of the message. Both the sender and recipient of the message have equal shares in whether or not the communication ends up being successful. But even if both have the best intentions to successfully communicate, our individual biographical and cultural backgrounds add layers of complexity and greatly influence how a message is perceived. Keeping this in mind already gives a great advantage in communication. Even though it might be helpful for other things in our day-to-day business life, there’s no room for multi-tasking when it comes to communication. Whether your communication partners are personally present or on the phone, you should give them your undivided attention. With too many things going on at the same time you might very well miss the most important aspect or information of the message. Same goes for email communication: You can very easily increase the efficiency of your communication via email by attentively reading the full message instead of skimming the first line only. This forces the person who initially sent the email to send follow-up messages to get issues address that have been stated before. This creates extra work and leads to a waste of time and also causes frustration on the sender’s part. That said, if you send an email make it short, precise and use bullet point lists that are easy to read if you can. If you have more complex issues to discuss, arrange a meeting or pick up the phone. In a personal conversation or when speaking to a group of people, having eye contact helps successfully transferring the message. Especially in one on one conversations, people feel uncomfortable when looking strangers in the eye, but it can make all the difference in a conversation. Whether you are speaking or listening, eye contact conveys that you are interested to your vis-à-vis and encourages your counterpart to engage in the conversation in return. According to the Wall Street Journal, eye contact is one of the best ways to influence others, too. Communication to a great degree is influenced by factors that are not in our control like cultural backgrounds, individual pre-conceptions and moods. This makes it all the more important to be clear on the things that are in our control – namely what we say and the words we use. It is key to use words only if you know exactly what they mean. Big words only sound sophisticated if used in the right context. As the sender of the message, try to make it as easy as possible for the other party to understand you. If the recipient of a message has to continuously ask the speaker to repeat the message, it is the sender’s job to improve their enunciation, pronunciation and articulation. Communication happens on several levels and goes beyond verbal transmission of information. Our gestures and mimic help getting the message across and give the other party more clues on how to interpret what is being said. Body language says more than a million words. And in order for the message to be received as intended it is crucial that our body language, tone and volume matches what we say. At least 50 percent of a successful communication is listening. Especially when leading a team, it is important that you continuously check your understanding of what is happening on your team. Take the time to identify the main information that the speaker attempts to transfer and ask questions that help gain clarification. Active listening makes you think harder about the content of the conversation and ensures that both parties are fully engaged in the process. Even though you can never be totally sure of what the intention behind a message is, you should always assume your conversation partner has best intentions. Often times we end up reading in emotions that support our own point of view that might not even be implied in the message. The attitudes we bring to all our communication events have a tremendous impact on how we interact and ultimately on the outcome of any conversation. Constructive attitudes like believing in others’ competency, honesty, respectfulness, patience and optimism are key for successful communication. Keys to Effective Communication - InLoox • Copyright 1999-2019 © InLoox, Inc. All rights reserved.